A highly experienced masking department allows Light Metal to offer the skills and techniques needed to precision mask and plug parts that require selective plating. Light Metal Plating has an in-house fabrication department to design and build racks and tooling. This advantage greatly increases quality while holding costs in line. 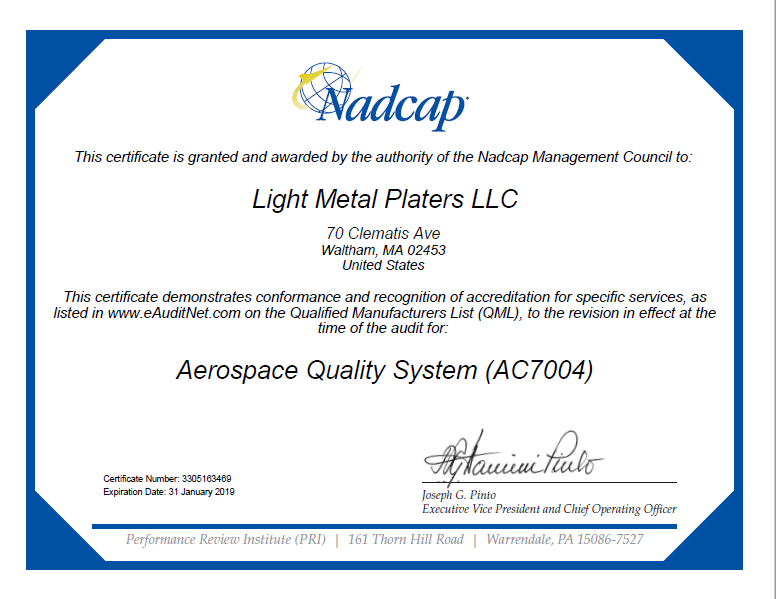 Light Metal is an approved vendor to major aerospace, defense, medical, hi-tech and commercial contractors. The Restriction of Hazardous Substances Directive (RoHS) was adopted in 2003 and took effect on July 2, 2006. This directive restricts the use of six hazardous materials in the manufacture of various types of electronic and electrical equipment.